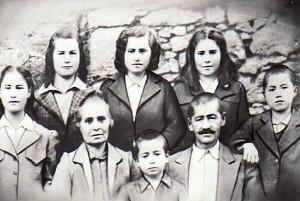 Above: The Foulas family. 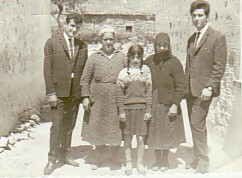 Meropy, with her husband, Haralambos, and their children, Amalia, Stavroula, Katina, Anna, Efstratios and Ioannis (at the front). 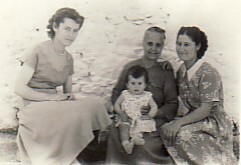 Above Right: With her daughters, Stavroula and Amalia, and holding her grand-daughter, Meropy. 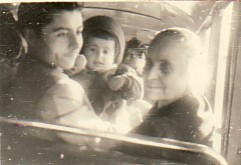 Above: With her son, Efstratios- who is leaving for Australia, and her grand-daughter, Alexandra Frangouli. Above Right: With her symbetheri, Nearhos, Koraleia, Alexandra and Andreas. Above: Mytilene, 1960. 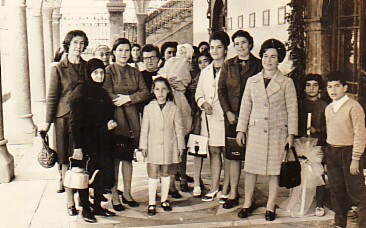 L-R: her daughter, Stavroula- holding Haralambos; herself; her daughter, Amalia; her grand-daughter, Alexandra; her sybethera, Koraleia; her daughter, Anna; and Eleni. The little girl is Elli. 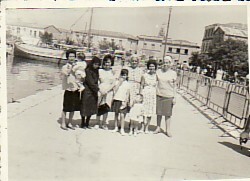 Above Right: At a baptism in Agia Paraskevi; Meropy is second from the left. 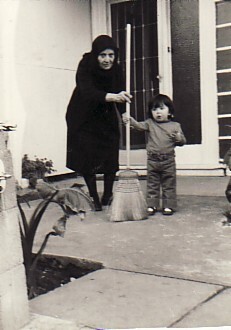 Above: With her great grandson, Nikolaos Psaltopoulos. 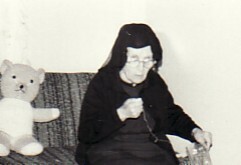 Above Right: At an old age.